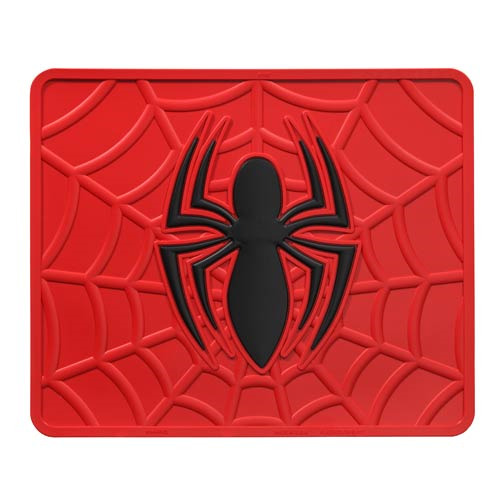 This amazing Spider-Man Marvel Red Rubber Utility Mat features a black spider image against a red spider web background. Awesome, huh? The mat can be used as a rear mat in your car, in the trunk, on a workbench, in a boat, and more! It measures about 17-inches wide x 14-inches tall. Molded from the highest quality materials for the ultimate in style and protection, it won't fade and is easily cleaned with soap and water.